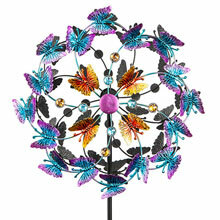 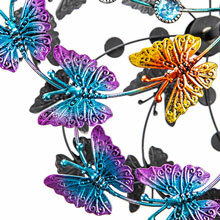 This colorful, whimsical butterfly wind spinner is the perfect addition to any garden setting. 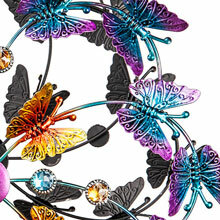 The multi colored piece is created with two vivid separate metal butterfly spirals that move with the wind to create a mesmerizing masterpiece in your landscape. 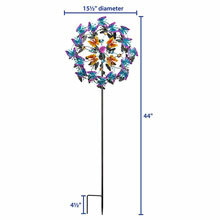 At 15&frac15;" wide, 6" deep and 44" high this unique garden windspinner stake is durable and built to last. 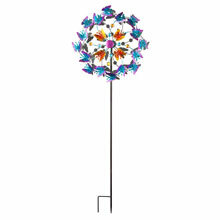 •FUN AND WHIMSICAL DESIGN: Spiral spinners covered with dimensional butterflies, vivid colors in purples and blue, accented with faux gemstones make this windspinner sure to be the focal point of any garden. 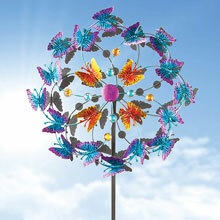 •VISUALLY SPECTACULAR: The two butterfly spirals are designed to move at the slightest breeze creating a unique and whimsical garden or yard display, with is vivid coloring and shimmering faux gems this wind spinner is colorful and pleasing to the eye. •EASY ASSEMBLY: Hassle free minimum assembly will have your garden in motion in a matter of minutes, instruction include, no tools required, the perfect way to add interest to your flower garden instantly. 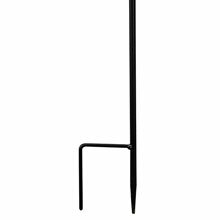 •STURDY IRON CONSTRUCTION: This iron spinner is equipped with an "H" fork base for maximum stability and is constructed out of strong quality iron for durability and withstanding all types of weather, 5&frac15;" wide, 6" deep and 44" high. 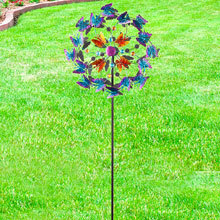 •PERFECT LAWN DECOR FOR: Birthdays, Christmas, Mother's Day, Father's Day, gardeners or can be a housewarming gift.